Luxemil.com is the PUP that uses misleading techniques to prevent removal. Use Reimage to locate malicious components and get rid of them faster than with uninstall instructions. A full system scan blocks virus reappearance and prevents traffic to malicious domains. Can Luxemil.com redirects be dangerous? What are the chances of getting infected with this virus? Is there an easy way to remove Luxemil.com? Luxemil.com redirect issue has fuelled some serious discussions on the Internet. While users think this domain is dedicated to an improved web search, the site creators have quite different things on their minds. This virus is a browser hijacker that makes its victims use the predetermined domain for the Internet search and assigns it as their homepage. Of course, all this is done without the user’s permission. Sadly, the problems do not end there. With this virus residing on your computer, you are just one step away from getting your computer contaminated with additional malware. The virus creators might send you to such infectious sites without even second thinking it because their main priority is advertising revenue. So, if you have also been experiencing similar problems, it is a sign that a malware resides on your system. Thus, you must check it with reputable anti-malware, for instance, Reimage. 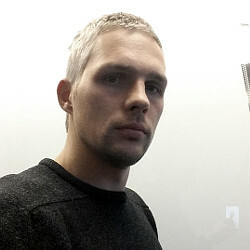 Automatic virus-fighting utilities are recommended for the Luxemil.com removal because they can indicate and delete the virus components without skipping malicious files. Another issue that the users often complain about after the Luxemil hijack is the slow system performance. You might bypass the ads this virus is primarily known for, but system slowdowns and unexpected browser crashes should definitely draw your attention. Poor programming lays in the core of this problem and will continue to cause inconveniences unless the virus is removed from the computer. Fortunately, Luxemil.com removal is rather simple and takes just a few basic steps. These steps are indicated at the end of the article. If you have been infected for a while, you should hurry with the virus removal because the virus may already have started tracking your browsing and sharing this data with unknown third parties! Redirects to Luxemil.com start immediately after the computer is infected with a browser hijacker. This cyber infection may come through Peer-2-peer networks, together with other freeware or shareware, or be deceptively downloaded as a software update. So let us say, the chances of getting infected are rather high. It is important to prevent this malware from infecting your device because once it’s there, it may start tracking your browsing activities, steal confidential data and redirect to websites that may give you malware. That is why you should protect your computer with a trusted anti-malware software and be careful about what software you are accepting on your PC. If you have been redirected to Luxemil.com, you should immediately check your computer with a reputable anti-spyware program. For that we recommend using such applications Reimage that can easily detect all infected files and folders. Besides, you should also remove Luxemil.com toolbar and all the other programs that might be related to the hijacker. For that, go to control panel, opt for the extensions/plugins and look for anything that could be related to Luxemil. If you notice anything suspicious, do not hesitate to terminate the process immediately. Otherwise, the Luxemil.com removal should go smoothly. Here, look for Luxemil.com or any other recently installed suspicious programs. Wait until you see Applications folder and look for Luxemil.com or any other suspicious programs on it. Now right click on every of such entries and select Move to Trash. When in the new window, check Delete personal settings and select Reset again to complete Luxemil.com removal. Once these steps are finished, Luxemil.com should be removed from your Microsoft Edge browser. Here, select Luxemil.com and other questionable plugins. Click Remove to delete these entries. Now you will see Reset Firefox to its default state message with Reset Firefox button. Click this button for several times and complete Luxemil.com removal. Here, select Luxemil.com and other malicious plugins and select trash icon to delete these entries. Click Reset to confirm this action and complete Luxemil.com removal. 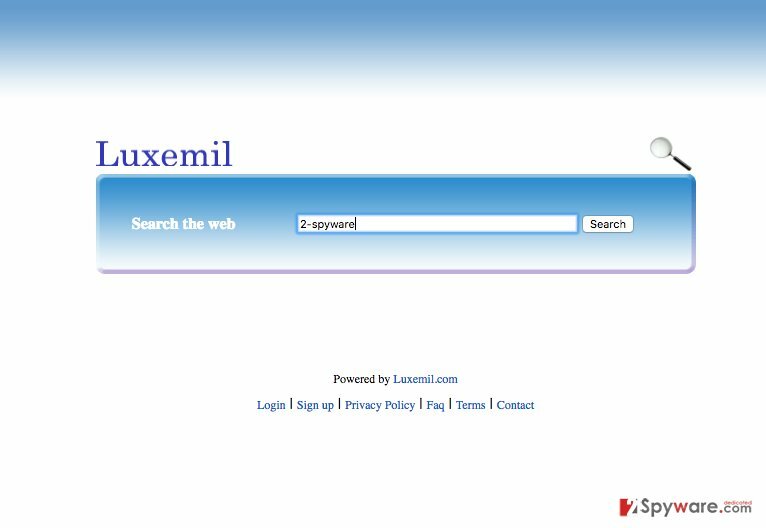 Here, select Extensions and look for Luxemil.com or other suspicious entries. Click on the Uninstall button to get rid each of them. Here, look at the Homepage field. If it was altered by Luxemil.com, remove unwanted link and enter the one that you want to use for your searches. Remember to include the "http://" before typing in the address of the page. Now you will see a detailed dialog window filled with reset options. All of those options are usually checked, but you can specify which of them you want to reset. Click the Reset button to complete Luxemil.com removal process. This entry was posted on 2016-07-19 at 06:21 and is filed under Stealing programs, Viruses. You can quickly scan the QR code with your mobile device and have Luxemil.com manual removal instructions right in your pocket. How did you remove Luxemil.com?